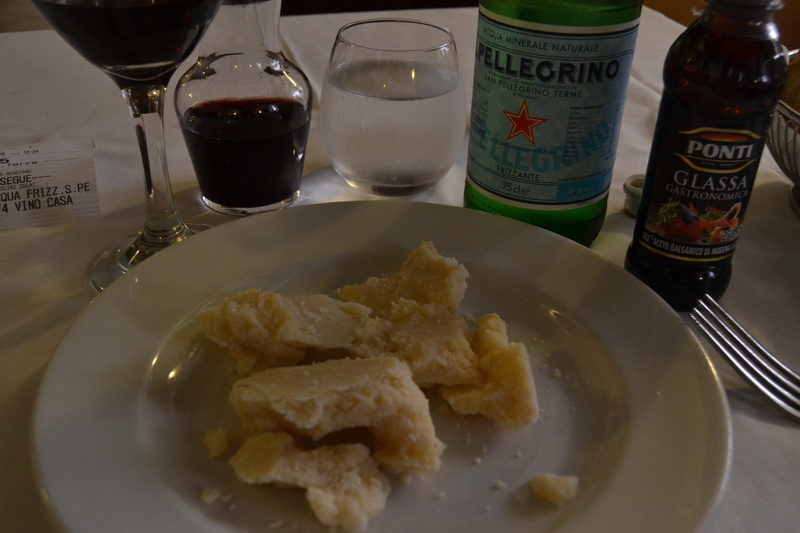 Day 2 ~ Getting “Cheesy” in Parma, Gelato Perfection in Modena, Branzino in Bologna – E.A.T. I stayed the night in the outskirts of Verona. One night at a random hotel in the city was 150 euro, so I drove past hookers standing on the roadside and made it to my little place, Hotel Gelmini. They had excellent wifi and served a real nice breakfast in the morning. 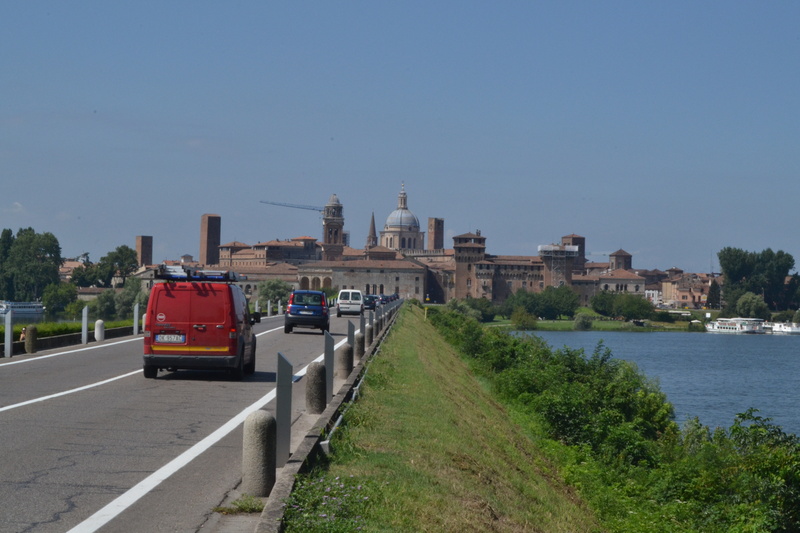 Heading south now, I was surprised by the impressive entrance to Mantova. It was a nice causeway toward an ancient city where Romeo held out and mostly cried during his banishment from nearby Verona. Parma was my next stop and I was getting hungry. Traditionally, the Emilia-Romagna region holds the secrets of Italy’s best food. 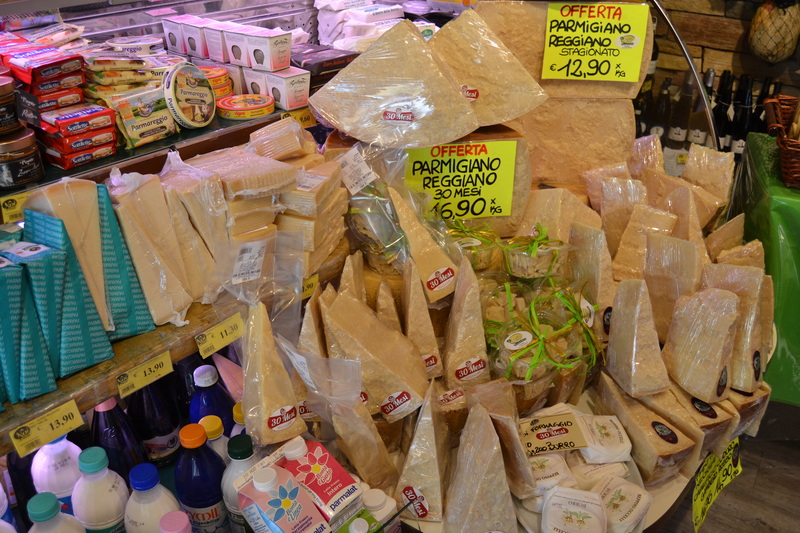 Lasagna, Bolognese sauce, Parmigiano-Reggiano cheese, tortellini and prosciutto among others’ have their roots here. I used Google again, and it led me to Trattoria del Tribunale (Vicolo Politi 5). It was just off the main square. I ordered a plate of parmigiano, and anyone who has seen the famous Sunny “philanthropist” episode where Charlie eats cheese before meeting a woman, and Dennis replies that “Any amount of cheese before a date is too much cheese, Charlie!” Well, I ordered too much cheese. It was delicious and had a little crunch as you chewed. A few drops of balsamico only added to the flavor. I ate half and saved the rest for my pasta. 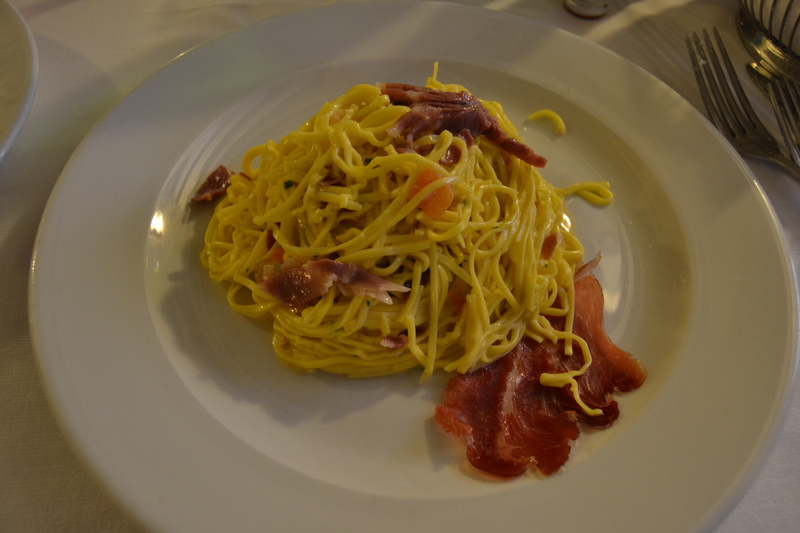 It was Tagliolini with Culotello. Honestly, the noodles tasted like the best kind of Ramen. After a big lunch, I walked the streets and found many of these little stores, specializing in the quality food of the region. People ordering had the look of students computing calculus in their heads. Each choice of ham or cheese was a delicate decision that required much consideration. Back in the car and headed to the balsamic vinegar capital, Modena. I felt heavy with formaggi, and needed something light. I got real lucky finding this gem of a gelato place. One young guy, Gianluca, owns and operates it and told me he spends 14 hours a day there. His recipes are perfectly balanced and low in added sugar. The cones he shapes to look like a flower (ergo the name, BLOOM). This place set the new bar for gelato. It was among the best I’ve had, “the best Jerry.” I ordered a mango and blueberry. Then, it was so good, I got a raspberry and chocolate. Now headed to Bologna for the night where I got a cheap price in a 4 star hotel. I still needed something light to eradicate my cheese-laden gullet, and found a nice local place, Fraiese (Via Emilia Ponente 22). The waiter with no neck recommended the branzino, which was excellent in Croatia, so let’s try it again. It was a nice salty fish with tender white flesh. It came with the vegetables I picked from the buffet area. It’s so nice to pick apart a fish and be left with the bony body like a hungry cartoon cat.